4G won't affect Freeview TV promise phone companies | What Hi-Fi? Mobile phone companies have taken a crucial step in speeding up the arrival of 4G in the UK – and ensuring that it won't affect your Freeview TV picture. EE, Telefonica O2, Three and Vodafone are set to launch 4G services in Spring next year on the 800 MHz spectrum. The only problem with this spectrum, which is different to the one that EE is using to launch the UK's first 4G spectrum later this month, is the potential to disrupt Freeview TV reception. Ensuring this doesn't happen was therefore made a crucial part of the 4G roll-out process. 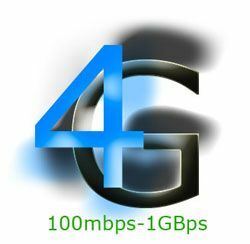 Deployment of 4G services in other frequency bands does not require similar measures. EE, Telefonica O2, Three and Vodafone have now formed a jointly controlled company, called Digital Mobile Spectrum Limited, in order to work together to ensure Freeview TV isn't affected by the launch of 4G on the 800 MHz spectrum band. This LTE (Long Term Evolution) spectrum overlaps with that used for transmitting digital TV, hence the potential for interference. The Department for Culture, Media and Sport, in consultation with Ofcom, had previously suggested up to 900,000 homes might have to use a filter to protect their TV reception once the new 4G networks launch. It's hoped that creating the new Digital Mobile Spectrum Limited company will accelerate the roll-out of competing 4G services. Secretary of State for Culture, Media and Sport Maria Miller said: "I am pleased that the mobile operators will be working together to ensure that no viewers lose their television services when 4G is rolled out." Ofcom chief executive Ed Richards said: “This is further evidence of the progress that is being made by the industry, guided by Ofcom, to deliver 4G mobile services across the UK.